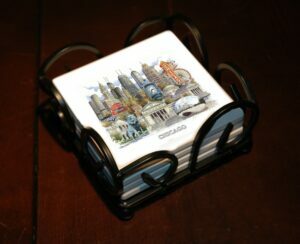 This 6 inch x 8 inch gift tin is the perfect gift. 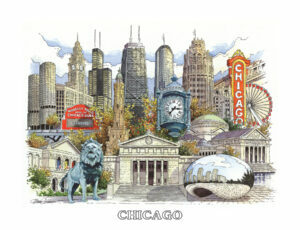 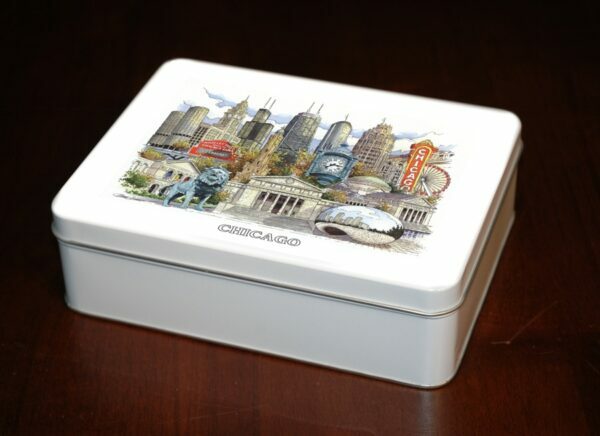 The image of Chicago is baked into the top of the tin, it is not a decal. The tin is U.S. food grade, so it can be used to store food items.